2TA was set up by John Sims (click for link) in May 2003, to provide freelance manufacturing technical assistance, including setting out and CAD detailing. 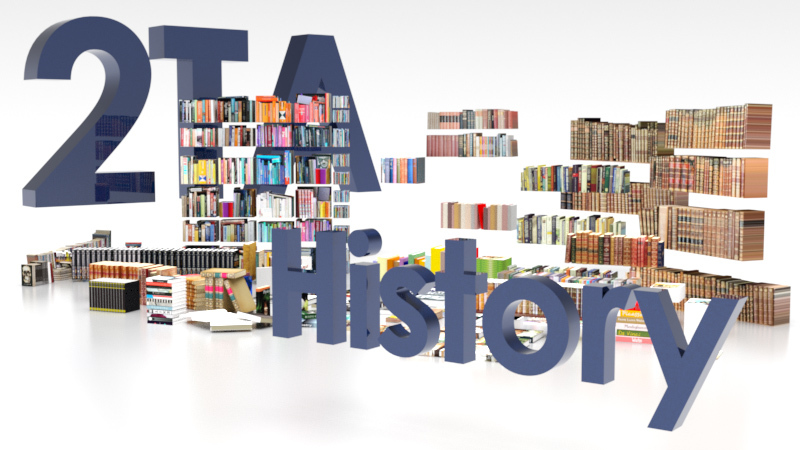 In August 2003 2TA Limited was incorporated and began trading. In the early years of 2TA our principal services were that of freelance Project Management for commercial interior refurbishments and providing turnkey refurbishments for end users. While a degree of our workflow was in the provision of CAD, this was generally as a tool within a project rather than a specific service. As time has gone on 2TA has invested heavily in CAD facilities, on a foundation of 20 years CAD experience, and this is now the corner stone of our service portfolio. Maintaining the family feel of the Company Belinda Sims runs our accounts and is at the forefront in preparing O&M Manuals and Site Safety Files for both 2TA projects and as a freelance service for Client's own projects. As CAD has developed, 3D modeling has become commonplace in the workflow. This quickly dovetails into providing animation services. During 3 years as a voluntary Director of Porsche Club Great Britain, John was much involved in the contracting and provision of video. This experience (allied with John's long standing experience in photography) combined to provide a springboard to 2TA being confident in the provision of video services. In 2013, as a further advancement through CAD based technology we purchased our first 3D Printer. This has proved of significant assistance in developing and demonstrating ideas being able to readily produce plastic "things" which can be used and evaluated. Unfortunately, it became evident the 3D Printer we purchased wasn't as well designed as we had anticipated with many small, irritating, mechanical and aesthetic design issues. After considering modifying this printer it was decided to design and build a 3D printer from the ground up. We are fortunate in providing an extended box of tools all of which can be used together or in isolation.